Nucleoli are formed on the basis of ribosomal genes coding for RNAs of ribosomal particles, but also include a great variety of other DNA regions. 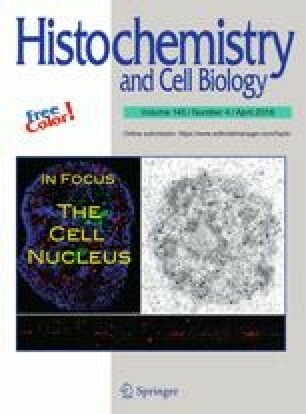 In this article, we discuss the characteristics of ribosomal DNA: the structure of the rDNA locus, complex organization and functions of the intergenic spacer, multiplicity of gene copies in one cell, selective silencing of genes and whole gene clusters, relation to components of nucleolar ultrastructure, specific problems associated with replication. We also review current data on the role of non-ribosomal DNA in the organization and function of nucleoli. Finally, we discuss probable causes preventing efficient visualization of DNA in nucleoli. This work was supported by the Grant Agency of Czech Republic (P302/12/1885, P302/12/G157, and 13-12317J), by Charles University in Prague (PRVOUK P27/LF1/1 and UNCE 204022), and by OPPK (CZ.2.16/3.1.00/24010).